Welcome voracious readers to my first guide & tips post, all about Edelweiss Plus! For those of you that haven’t heard of it before, Edelweiss Plus is a free website where you can not only request digital review copies (DRCs, also known as advanced reader/review copies or ARCs) but also browse publisher’s catalogs. So Edelweiss is pretty amazing, but it is also very confusing and not intuitive to learn. I legit signed up months ago, logged in and stared in abject horror at all the options, couldn’t find a “how to use this website” and kind of clicked off. I revisited the site a few days ago after having forgotten the initial trauma to discover I had been approved two DRCs. Somehow. A few followers on Twitter shared how confusing they also found Edelweiss so I decided it was time for me to figure it out and maybe help others. So here we go! Once you have signed up you are brought to your homepage, which you can think of as your dashboard. I would highly recommend turning on the ‘new homepage’ function at the top left of every page. Once I made that switch things kind of started falling into place for me, and you are able to customize it to your heart’s content with widgets! My Edelweiss Homepage, with all the fun features you can do by toggling the button on the top left to use the new homepage! So once you toggle to the new homepage, I highly recommend that you play around with the various widgets to get your homepage to work for you! For my purposes, I removed most of the default tiles and settled on ‘Affiliate Buzz,’ ‘DRC Requests,’ ‘Anticipating,’ ‘Notifications,’ and ‘Saved Filters.’ I will get into each of these a bit more below. These are the filters that I set up based on my reading preferences, and each genre has the particular sub-genres of interest selected. Do yourself a favor and before going anywhere else (seriously, avoid being overwhelmed) set up your Saved Filters. As of writing this post there are currently 3,231 DRCs available for request on Edelweiss, and if you just click to Review Copies you are going to be greeted with tons of options. While you can drill down your options on the Review Copies page, I find it way easier to set up my saved filters and just click to the results via my Saved Filters widget (see right). So now that I have convinced you to set up your custom filters, let’s go over how easy it is to do! What I opted to do was create filters for each main genre I like to read, selecting the sub-genres that I like for each. As you can see by the below screenshot, there are a lot of sub-genres available in Fantasy. Now that you have your filters set up, click on one of them from you homepage. You will be brought to the results for that search without you having to drill down every time. Nice! You can resort the results depending on your preferences, as seen below. When you are scrolling through the results you will initially see basic information about the title: genres, author, publication date, number of pages, etc. What I really like about Edelweiss is that if you see something that catches your eye you can get additional information without having to load a new page (looking at you NetGalley and even Goodreads)! AND You will find both backlist (already published) and frontlist (upcoming publications) listed in your results and easily denoted in bold. ➡️ Content will bring down an accordion view of the synopsis, and review buzz. ➡️ Comps will bring down an accordion view of comparable titles. Not all titles have comps listed but many do, and it is a good indication on whether a book may be for you. ➡️ On the far right there often will be a green or orange button. Green (download) means that it is available to download, and orange (request) means that you need to submit a request to the publisher. Once you find a title that you would like to request, click the orange request button and a little window will pop up. Unlike NetGalley you have the option to include information about why you are requesting the title that the publisher can see. You have the ability to explain to the publisher why you are requesting the title. ✨ For a more in-depth explanation of requesting ARCs on Edelweiss, please check out Hamad’s guide – he did a GREAT job discussing what has worked for him and breaking it down simply! I don’t know personally what the Amazon charges are for sending directly to Kindle (NetGalley doesn’t have fees, but whatever), so I just have it sent via email. Within a couple of minutes you will get an email like this, where you can download the file by clicking the link (this was an .azw file) and send to your Kindle device(s) using Send to KindleSend to KindleSend to Kindle. I set my filters up so that only books that have available DRCs show up; however, I also have the Affiliate Buzz widget active on my homepage and I might come across books in catalogs (which you can read more about below!) that are not open to request yet. Because I have the memory of a goldfish and my Goodreads TBR is turning into a hot mess despite my best efforts to keep it organized, I decided to take advantage of Edelweiss shelves to not lose track! I am sure that you noticed on the homepage there are widgets for the shelves. I decided to use ‘Anticipating’ to keep track of books I essentially will sell my soul for but hadn’t yet submitted a request for. In the below screenshot you will see that Courting Darkness does not have the little orange banner along the left of the image which means that it isn’t available yet for request/download; Grim Lovelies is available to request but I haven’t yet (mainly because I was denied on NetGalley and submitted a request for a physical arc that hasn’t been responded to yet). This is how my homepage looks – nice and clean and super helpful! ➡️ Saved Filters: THIS IS MY FAVORITE. Filters are love! Another amazing feature that is especially helpful to all bibliophiles is the publisher catalog section! Not all publishers list their catalogs on here, but many do (and many have backlist catalogs as well), making Edelweiss kind of a bookish one-stop-shop. Gone are the days of Googling for ages, or scouring a website trying to find information! For instance, say you love Penguin’s adult books. Well you are in luck because they uploaded their Fall 2018 catalog in February of this year. Seriously, Edelweiss is wonderful for seeing what is on the horizon! 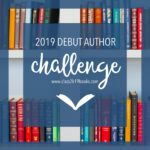 For an in-depth guide on how to use Edelweiss for publisher’s catalogs as a book blogger, check out this amazing post by Tammy over at Books, Bones, Buffy! Now that I have figured out Edelweiss and set it up to work well for my own personal needs, I love it! I hope that this post encourages you to dive in and check it out! I hope that you found this post helpful! What are some tips & tricks that you have for Edelweiss users? Or do you have any other burning questions that I can answer for you? Oh my goodness this is such exciting news, I am so excited that this was useful to you! I should add in some details about setting up the profile at some point as well. May the odds be ever in your favor on the requests! You are so welcome and I am glad that you found this guide useful! Good luck with your requests. This is really helpful because I’m also new to Edelweiss and have no idea what I’m doing. I am so glad that you found this guide useful, and best of luck to you! Edelweiss is sooo confusing to me! This is so helpful! Thank you! I am hard pressed to think of another website that is so confusing upon login to be honest. I am excited that this was helpful for you! You are amazing! Thank you so much for this post! It really did! I feel so much more organized on Edelweiss now. This is a really helpful guide, maybe I’ll actually use Edelweiss now! I am so glad you found it useful, and hopefully Edelweiss will become a staple to your bookish life now! I absolutely adore the Filters feature in Edelweiss+! This post is so helpful! The filters feature is literally my favorite thing on Edelweiss+! Glad that you found the guide helpful and thank you for stopping by! I am so glad that you found it useful, Kelly! Best of luck on your future Edelweiss requests! I only have one remaining question: how do we get the ebooks? Direct send to Kindle or download on PC and which format then? That is a GREAT QUESTION! When you are approved (or are downloading a title) you have the option of DRC or sending direct to kindle. I use Kindle personally because I am not a fan of Adobe Digital Editions and avoid using it unless it’s necessary (looking at you, Penguin First to Read). I am adding screenshots into the guide now about how to download, and I hope that helps! Thanks for asking the question!!! Thank you so much for stopping by, and I am glad that you found the guide useful! I noticed that the other guides were from YEARS ago for the most part, and I couldn’t find any that talked about the new (and MUCH IMPROVED) homepage. I really wish the site were easier to use and more intuitive, but I am glad I finally figured it out. Great ideas here!! I’ve been using edelweiss for a long time and it’s great but you’re right, not very intuitive. I didn’t even realize I could set up filters though, that’s such a useful tip when there’s so much on there. Thanks for sharing all of this! I am so glad that you found this guide useful, and those filters have changed my life!!! Thanks for stopping by! That is such a good tip, and one I have been ~trying~ to get better about on NetGalley and definitely will do that on Edelweiss as well! My reading this year has been mostly ARCs and I am hoping that if I only request 4 ARCs for any given release month I can work on my TBR tower a little bit haha. Thanks so much for stopping by and sharing your tip! Tammy over at Books, Bones, Buffy has posted an amazing guide on using Edelweiss for publisher’s catalogs as a book blogger! omg this is so helpful! i just joined a few days ago and i can’t figure this site out, it feels really messy and im dying rip. but i was wondering, i’m leaving reviews for books but find that some of them don’t show up? like i just read the first 4 books of this one series but the review for the first book doesn’t show up. i figured i’d just forgotten to do it but when i posted it, the review for book 2 disappeared! has this happened to you before? o(-( great post! I am so glad that you found this post helpful! And yea I have noticed wonky things with review; I am not sure what is going on but I just assume that if I click ‘send to publisher’ they get it somehow. That may be a little wishful thinking, though. Maybe I should do a part 2 once I figure it out! Thank you so much, Alex, and I am glad that you found the post useful! Happy reading! Thank you, Kaleena. Because of your tutorial, I was able to set up my homepage and have requested three titles. Let’s hope Everything works out. That’s so wonderful, and I hope you get some of the books you are looking for! Bahahaha, I know what you mean! Hopefully this guide helped you a little bit. Wow, this is so helpful. I just went through and updated my profile and things like that. I can’t seem to figure out how to change my homepage though. I have always hated Edelweiss, it is SO not user friendly. I like the “new homepage” much better though and this guide helps explain a lot I didn’t know, even after using it for a long time. I am glad that you found the guide useful! How do you change what shows up on your home page? I couldn’t figure it out. Do you mean the tiles? Yeah, I couldn’t figure out how to change them. Oh, it’s pretty easy! When you hover over the existing widgets an X will show up in the header bar. Click that to remove. To add new ones click the Add Widget button on the right side of the page. On your anticipating shelf does it show you if they ever come up for request or download? I see that is how I can add some from Catalogs that I find interesting and would like to read. But not sure how you know when you can request them. Awesome post though definitely helped me! It does, it does! Looking at my Anticipated Shelf in this screenshot show books that are not requestable and ones with the request banner. Black Leopard, Red Wolf was downloadable for me up until last week but it isn’t any longer, so it updates.